Our client was creating a small health spa in London and required access to the basement level where there were further treatment rooms. 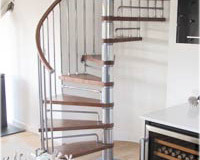 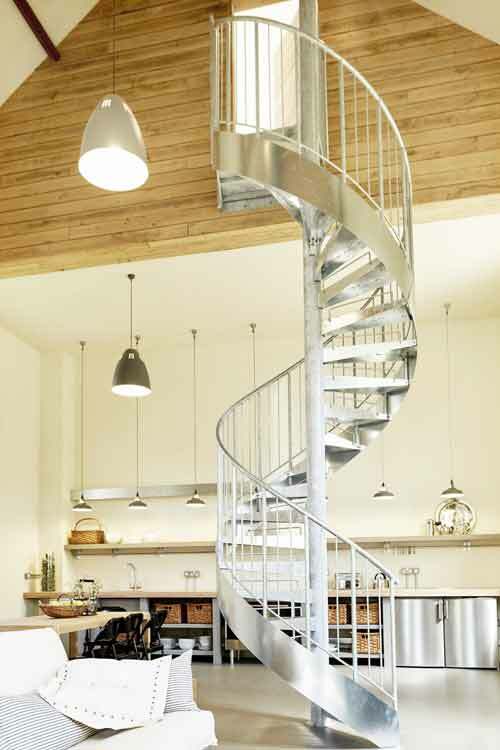 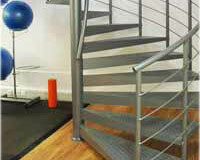 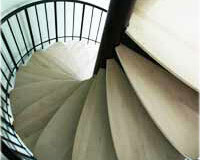 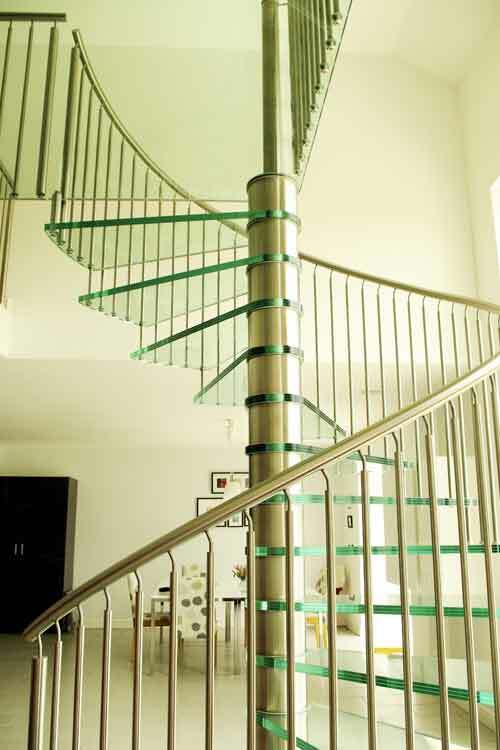 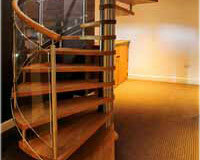 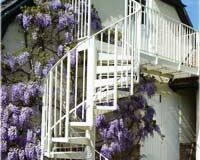 It was a beautifully furnished property and they wanted a suitable spiral staircase to blend in. 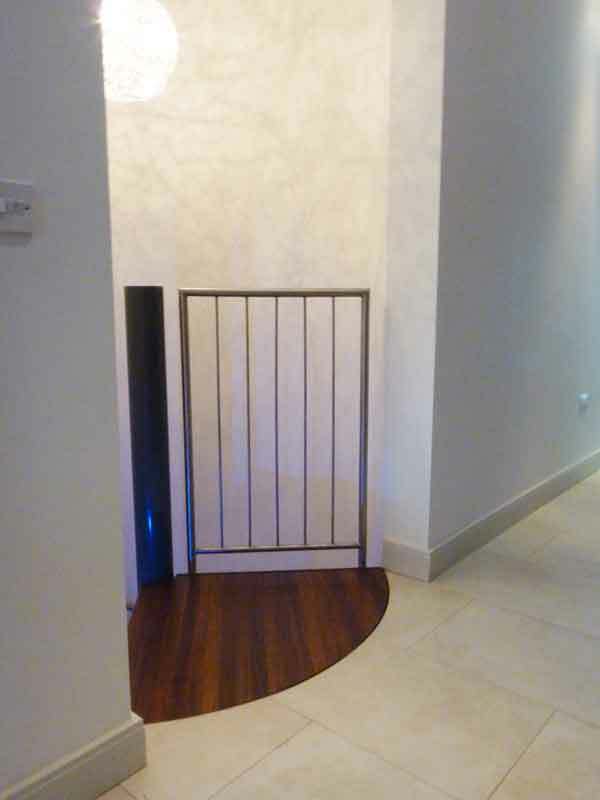 It was to be fitted within a curved wall so no balustrade infill was needed, just a wall handrail which we supplied in stainless steel. 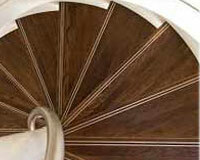 The spiral itself had closed risers with treads ans risers in solid walnut. 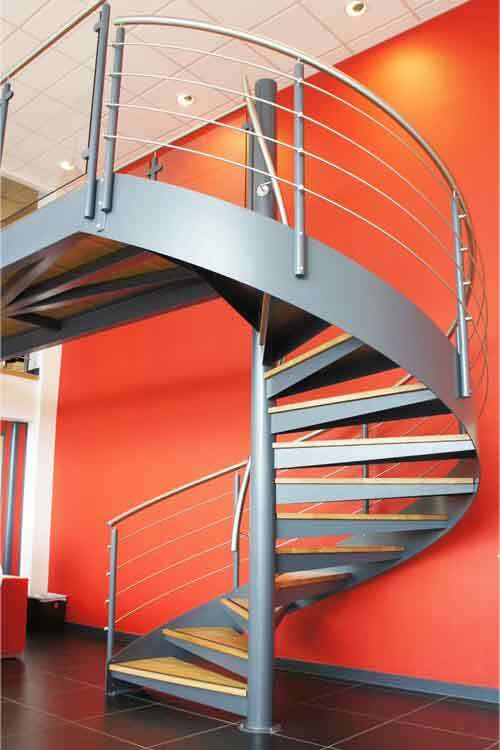 The centre column was powder coated to a colour specified by the client. 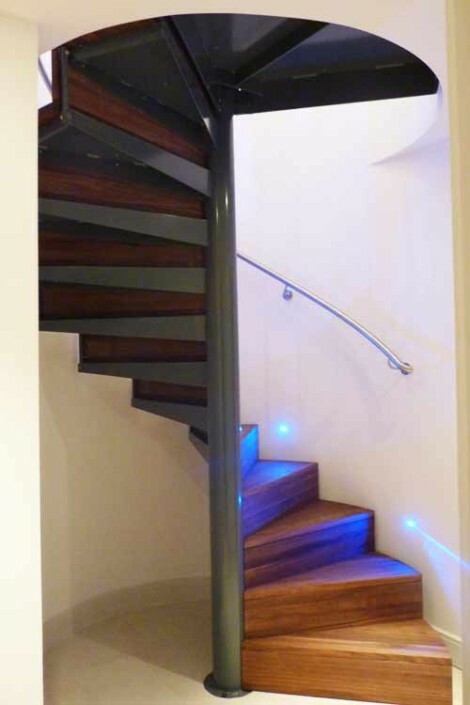 Our customer installed some lights in the wall which highlighted the spiral and looked great. 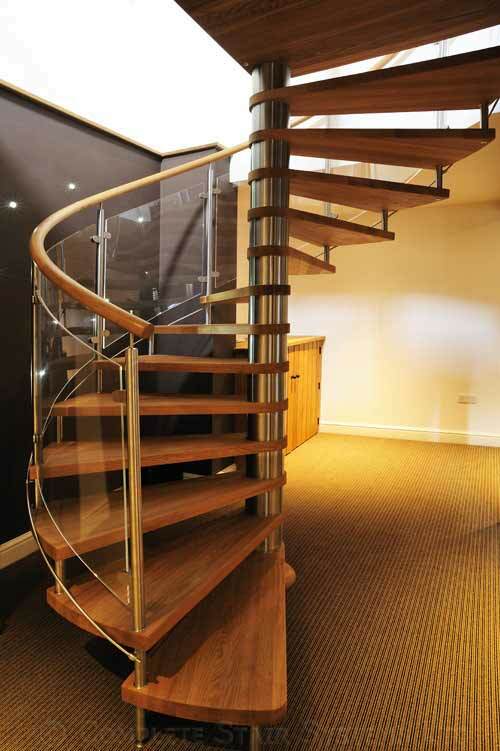 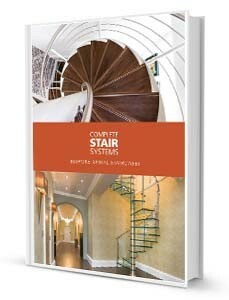 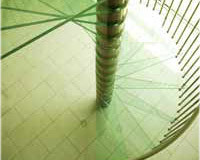 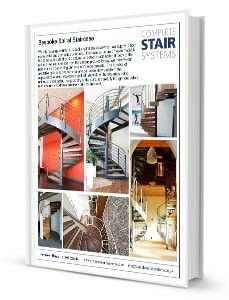 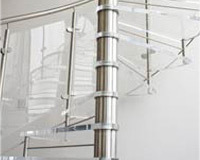 If you would like a price for this Spiral Staircase Knightsbridge project, please fill out the form below.